The Courier-Journal ran a nice profile Sunday of master distiller Lincoln Henderson and his Angel’s Envy, a small-batch bourbon being produced by the Louisville Distilling Co., a new craft distiller founded by Henderson’s son, Wesley. “Angel’s Envy” is a play on one of my favorite bourbon terms: angels’ share, the bourbon lost to evaporation during maturation. After aging in charred white oak barrels, Angel’s Envy spends four to six months in freshly dumped imported port casks. This gives it an exceptionally smooth finish, with a soft mouth-feel more like wine than bourbon. 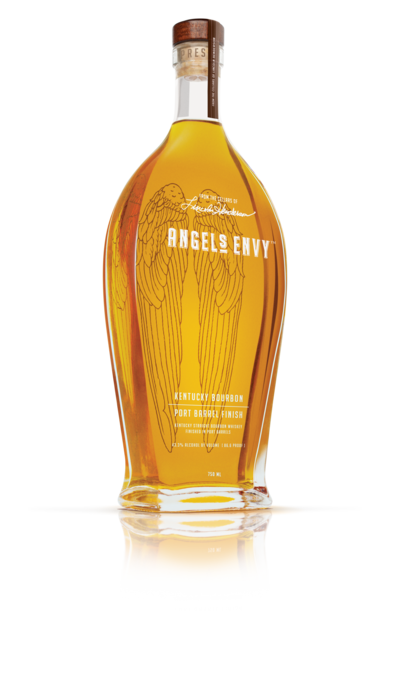 But it also raises a question, one not answered in the story: Is Angel’s Envy truly a Kentucky straight bourbon whiskey? A “straight bourbon” may have no added coloring, flavoring or other spirits. Nothing is blended with Angel’s Envy, but those port casks are adding color and flavor, aren’t they? Have you tried Angel’s Envy?